The HSE require your LEV systems to be tested at least once every 14 months to maintain performance and keep people safe. 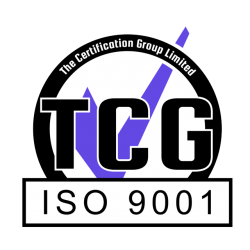 We understand HSE requirements and ensure you remain compliant with them by using properly qualified engineers to test your systems. Our comprehensive understanding of the HSE’s approach will mean you are in full compliance with the latest standards and regulations. Our approach will depend on your exact LEV systems but will cover some or all of the below. Assessing damage, wear and tear. Checking that pressure gauges and other display devices function properly. Inspection of water flow and sumps for wet scrubbers. Examining the system’s fans, including speed and direction. Looking for signs of the system’s overall effectiveness. Testing the air cleaning device is working effectively. Analysing the makeup air supply. Comparing volume flow rate against the design specification. Taking gas velocity readings at hood faces, branch ducts and main ducts. Measuring static pressure in the ducting, through the air cleaner and fan and behind each hood. In addition to these specific inspections we will carry out tests to assess the overall effectiveness of your LEV system in controlling dust and fume risks. These may include smoke tests to see how your operator’s breathing zone is affected and leakage in the system; lamp test to check for escaping mist or dust; an observation of the processes and sources; appraisal of how well exposure is controlled; and an assessment of your operator’s working patterns. An HSE-compliant report, including photographs and recommendations if any issues are found (including a breakdown of costs if required). A weekly LEV check sheet and training (if requested) in carrying out weekly LEV checks. Storage of an electronic copy of your COSHH LEV report for five years (as mandated by the HSE under their COSHH LEV requirements). With more than fifteen years of experience and an unsurpassed range of LEV services, we are national leaders in LEV. So whatever your LEV requirements we can help. This includes providing a range of LEV servicing packages to help keep your LEV systems in good working order between mandatory testing. We also offer retro-commissioning – our P604 qualified engineers can retro-commission your LEV system if you cannot find your original commissioning documents to bring you into compliance with COSHH regulations. If your LEV system is due for its statutory testing, then give us a call today on 0117 964 7945. You’ll have the peace of mind of HSE compliance through using one of the UK’s leading LEV testing companies.